Launched in January as a pilot program, the 2015-2016 academic year marks the official start of the Innovation Program, which is an anomaly in South Florida and allows students to learn academics while applying knowledge and skills to bigger world. The objective of the program is to allow students to enroll in a blended-learning flex model, where they can complete high level collegiate curriculum, experience in-depth project based initiatives, and produce visible demonstrations of learning. The Innovation Program’s course of study is customized based on the skills and interests of the individual student, but is also aligned with the Grandview Preparatory School curriculum, state and national standards. 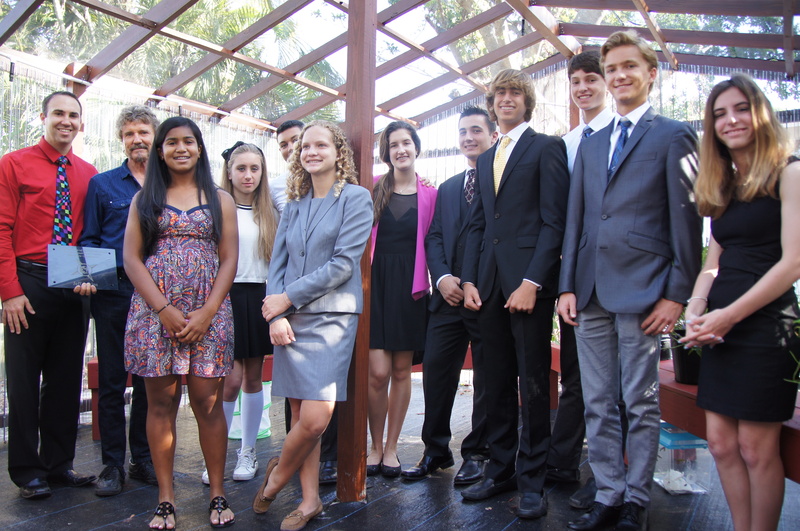 Innovation Program students presented the completed Endangered Species Greenhouse, the inaugural Passion Project, in May 2015. Samuel Berey, Director of Program Innovation at Grandview Preparatory School, leads the program, which is now available to students beginning in first grade. Depending on grade level, students can apply to participate in various tracks: Discovery Class (grades 1-2), Junior Innovation (grades 3-6), Middle School Innovation (grades 6-8) and the traditional Innovation Program (high school). 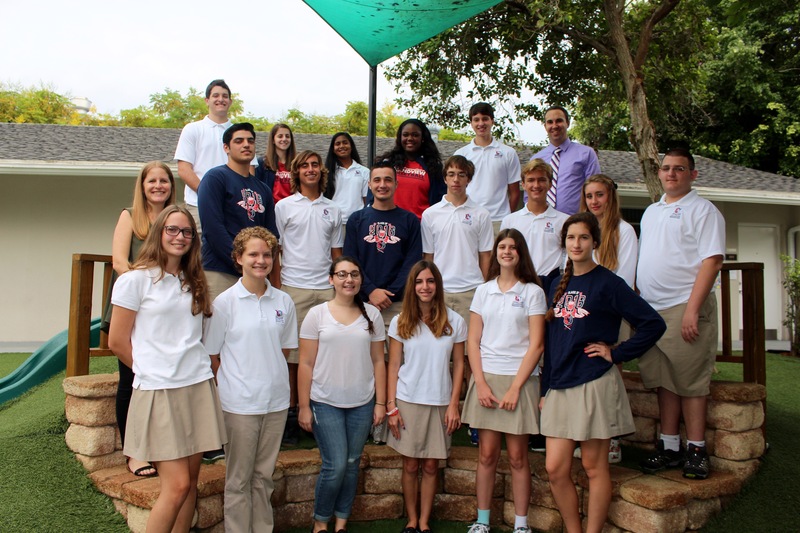 Last year’s Passion Project involved the design and construction of an on-campus greenhouse, which is now filled with Florida-native plants and endangered butterflies, and used by the school’s environmental club and science classes as an outdoor classroom for study and research. Group 1 will stress algal cells to produce oil to be used to power an engine in a sustainable manner. The group’s intent is to reduce the cost of fuel and to show that algal biofuels can be a reliable source for powering the world in future. Two of the students possess experience working with engines and one, who headed up the greenhouse project last year, spent the summer studying algae and the lipids they produce. Group 2 will design and build a state-of-the-art music studio to support Grandview’s music program, introduce opportunities for higher-end audio and video recording, and potentially launch new music and TV-themed classes and clubs on campus. Their business plan includes technology, fundraising, room layout and marketing/communications. Group 3’s project includes building two on-campus Beach Volleyball Courts, creating a Grandview Beach Volleyball team to compete against other Florida High Schools, and develop a strategy to rent out the complex to local teams, clubs and organizations. The five team-members, all of whom are student-athletes at the school, see their Passion Project as an opportunity to be the first school in Palm Beach County with a beach volleyball court on campus. Group 4 is launching a school club focused on Equal Rights for Genders and Marginalized Groups (women’s rights, LGBT-plus, racial minorities and more). The group hopes their club, which will start with awareness within the GPS community and expand to include fundraisers, a blog/newsletter, color run, merchandising, and volunteer opportunities, will ultimately be a model for other schools to follow. Each group will be required to develop a business plan, present their ideas to Grandview administration and Board, fundraise as needed, procure involvement from the student body, and ultimately complete their projects before the end of the academic year. Students drop traditional core classes in favor of blended-learning university-level courses (BLU Courses) via Coursera and edX. The blended-learning flex model, using a digital, hands-on Grandview curriculum, is an efficient pedagogical approach that allows GPS to meet the individual needs of each student. Instruction using this model is delivered through a lead educator using digital curriculum that is web-based (online) in a face-to-face setting. The Middle School Innovation group chose hydroponic grow systems in the classroom for their Passion Project; Junior Innovation group is focusing their Passion Project on cross-pollination to create hybrid plants; and the Discovery class is creating projects about outer-space and pre-historic animals. Tags: Innovation, Innovation Program, Innovative Education, passion project. Bookmark the permalink. Congratulations to our dedicated students, staff and Grandview community members who have made this possible! Continue to dream big!